Grand Island - GRAND INDEED! Every sheltered bay, each ancient path opens up to a new adventure on Grand Island. Here waters are so clear you can see trout swimming silently along rugged shores, explore forests both beautiful and bountiful, and experience a quiet so profound you can hear an eagle take wing. One brief visit to Grand Island will bring you closer to understanding why the Chippewa Indians lived here in total harmony with the land. 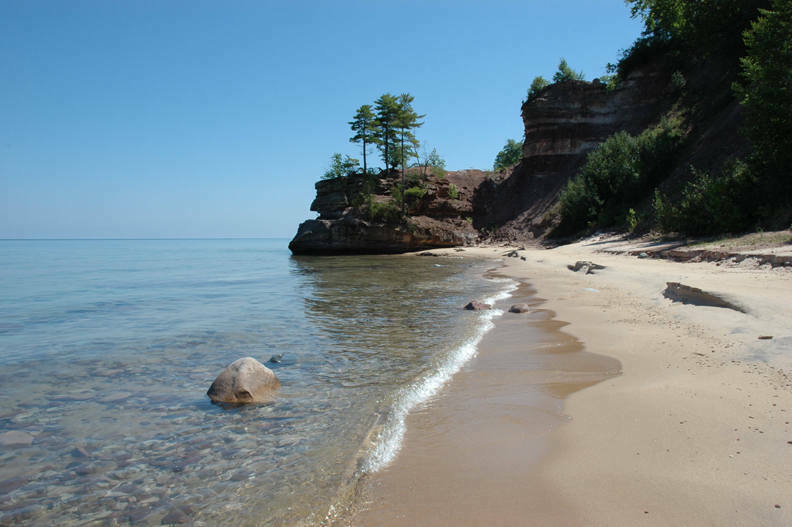 Scenic seacliffs and caves, pristine Lake Superior shoreline on an offshore island, quiet forest, cliff top views of Pictured Rocks, ancient burial grounds, and a weathered lighthouse come together to connect the people and places that shaped this land. Big doesn't describe this eight miles long, four miles wide hidden gem but Grand certainly does. As part of the Hiawatha National Forest, Grand Island offers a 3 minute ferry service to and from the island. Camping is permited in designated areas. 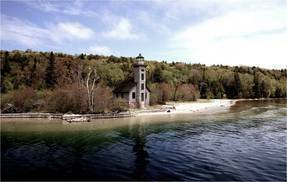 Located about 200 yards west of Murray Bay, nestled in a forest clearing is the burial place of many of the islands earliest settlers. As you leave Williams landing and travel the road to Murray Bay, you will pass homes that were once a part of the historic hotel and resort built by the Mather family. Although the hotel is no longer standing it’s remnants are still visible. 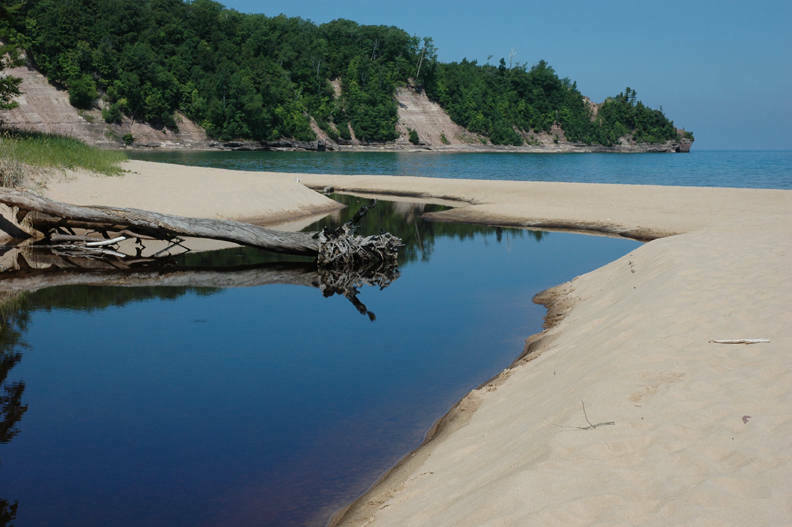 About 2.5 miles north of Williams Landing, this 20 acre lake which was originally a lagoon on Lake Superior is home to many forms of wildlife. This overlook is about 100 feet above Lake Superior and provides a breathtaking view of Trout Bay and Pictured Rocks National Lakeshore. 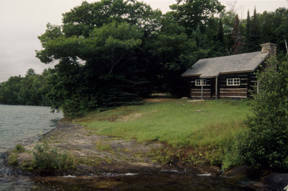 There are four designated camping sites at this location as well. 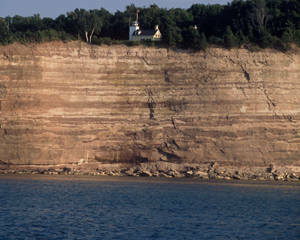 On the west end of the island, several overlooks provide some of the most magnificent views from Grand Island. Stairs provide access to the beaches below.